The inspirational story of the first woman to walk around the world. Polly shares the lessons of resilience, perseverance, and goal-setting in the triumphant spirit that got her around the world, while connecting the challenges we face every day. Polly Letofsky is an inspirational keynote speaker, award winning author, and honored fundraiser for breast cancer. Based in Denver, Colorado, she’s best known for her solo journey by foot around the world. over 14,000 miles – by foot – to become the first woman to walk around the world. vanished in a tide of world events. It's through the lessons of her own daunting journey that she brings the lessons of goal setting and perseverance to life. 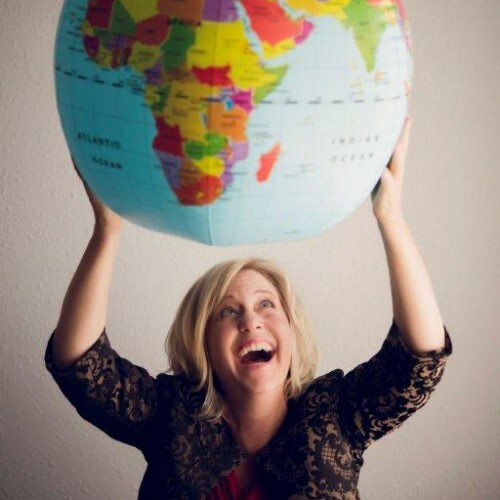 "She spoke to key leaders in our organization connecting her walk around the world to the challenges we face every day in our workplace. --Human Resources Manager | Adams County – Colorado"
adaptation, attitude, commitment, and turning fear into fuel, will provide clarity to their goals. Good Housekeeping, CNN International, The CBS Early Show, NBC’s Your Total Health, and Fine Living Channel’s Radical Sabbatical. as well as Best Memoir at the Writer's Digest Best Book Awards. Her audio book, which she narrated, has just been released to glowing reviews. will garner a new strength in your team to reach goals. Find out more about Polly Letofsky at http://www.pollyletofsky.com.